HINDUNILVR (565) - Already posted on 05th Nov. and now nothing but repeat the same post. ITC (309) - Posted on 25th Oct. "Below 342 , down side 332 and afterwards 308"
as posted already it came down to 308 on 22nd Nov.itself, from there, pull backed to 323 and yesterday once again came down to 308 (made low 307.55) what next ? 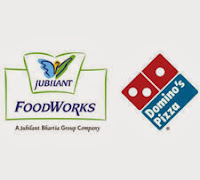 JUBLFOOD (1369) - Posted on 01st Nov. "Resistance 1224-1254, But trade and stays above that upside target 1350----1450"
After this post, It broken 1224-1254 on 05th Nov., on the same day itself it went up and attacked the mentioned upside target (made high 1391.90), from there correction started, slowly it came down and once again took support at the mentioned support level of 1254-1224, hovering this level almost 6 days (made lowest low 1221 on 14th Nov.), from there, once again upward journey started, as on yesterday, it made high 1382, that is, once again attacked the mentioned upside target.